This model refers to 23rd consecutive cooperation project between Dufour Yachts and Felci Yachts naval designers’ studio. 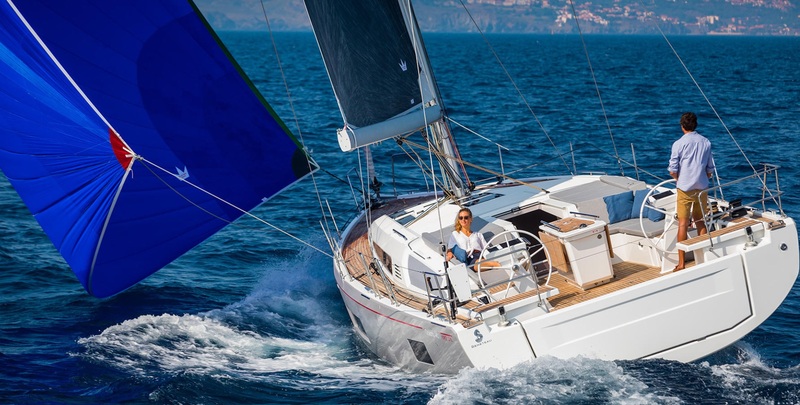 Dufour 560 Grand Large is designed in order to satisfy those who demand a high level of various standards – a perfect balance between sailing performances and maneuverability on one hand; and style, luxury and comfort on the other hand. The hull of Grand Large 560 combines robust aft section with the length and relatively small surface directly washed by the sea with mighty keel and rudder. A high ratio of ballast and displacement along with the hull stability allowed designers to equip this vessel with mighty sailing gear without compromising comfort and safety. As a result of this concept maximum performance is gained with minimum effort, using German mainsail sheet system along with self-tacking jib. Wide side gangways along with ‘clean deck’ provide enough space for sunbathing and easy moving up and down the deck while working areas are clearly divided from the leisure areas of the vessel. The aft folding platform is used as a transom when closed. When opened, it enables the entrance to the aft garage for the up to 3.10 m large tender and refers to the comfortable swimming and sunbathing area. The elegance of Grand Large 560 is emphasized by large horizontal sleek side windows which provide exciting natural illumination of the interior, combined with Dufour top fixed hatch. The interior also exudes modern design and comfort as the result of numerous consultations with the internal design team with Dufour owners, dealers and customers. Therefore, the interior design could be completely tailor-made in line with one’s demands; offering layout with 3, 4 and 5 cabins plus skipper’s cabin. The overall interior design has been done with special respect to the large and comfortable saloon, while other spaces follow the concept of elegance, luxury and functionality at the same time. The LOA of this Dufour’s flagship amounts to 17.15 m, the beam amounts to 5.05 m while the draft amounts to 2.5 m. The fresh water tank capacity is 730 l while fuel tank holds as much as 500 l of diesel. Dufour 560 Grand Large is powered with an 110 HP engine while 150 HP would be optional. 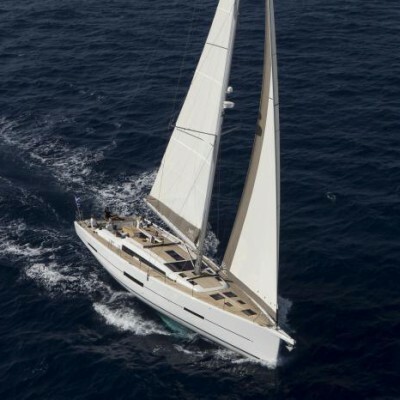 The total sails surface amounting 152.7 m2 is divided between 80.4 m2 mainsail and 73.3 m2 genoa; with 9/10 fractional rigging. Dufour 560 Grand Large is already declared a flagship of Grand Large division which includes total of 7 attractive sailing yacht models. 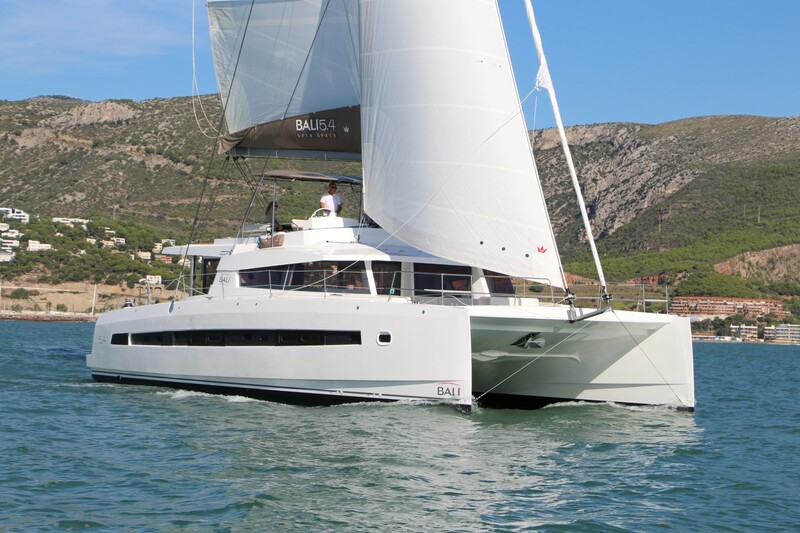 Let’s celebrate Dufour’s 50th birthday aboard the latest luxury model!